A health management degree allows students to gain knowledge and experience in the administrative, financial, and managerial sectors of the healthcare system. It is a popular option for individuals who have a desire to work in healthcare without a focus on clinical research. A health management degree approaches the discipline broadly to ensure graduates can take what they have learned inside the classroom and apply it to various sectors of the healthcare industry. This can include work in large acute care hospitals, community-based organizations, private healthcare offices, elder care healthcare, “IT startups,” and more. No matter the aspect of healthcare they may choose to pursue, health management students will graduate with the background and skills necessary to work in a leadership role within any healthcare organization, where they’ll have the chance to oversee critical decisions and impact change. What Do Students Learn in a Health Management Degree Program? Students entering a health management program often come from two very different backgrounds. Some students enter with no healthcare experience and enroll hoping to simply gain a foundational understanding of major healthcare management principals. Others have already worked within a healthcare organization, and now are pursuing a health management degree for their own professional development or to gain a broader understanding of the industry as a whole. In this way, a health management degree is designed to help level the playing field. Avalón explains that, in addition to exploring healthcare on a national level, students also dive deeply into healthcare policies, regulations, and trends at the state- and community- levels—even going as far as to tailor the curriculum to include an analysis of healthcare in the states where students reside. “It adds a much richer discussion in the classroom when people are able to talk about what they’re doing in their respective states and how that differs from what is occurring across state or neighborhood lines,” Avalón says. A healthcare management degree program covers subjects such as healthcare management, finance, policies and procedures, and health law. Other courses include risk management, healthcare operations, and even public health. The BS in Health Management program at Northeastern—which takes most students two years to complete—culminates in a capstone course in which students can apply what they’ve learned to the specific sector of healthcare they wish to work in. This opportunity for students to try their skills out in the field before graduating comes from Northeastern’s emphasis on experiential learning and acts as a beneficial springboard for students into the industry. Students who graduate with a health management degree often go on to hold a variety of significant and valued roles within the healthcare system, including positions in the financial, human resources, and project management fields. Explore three of the most prevalent career options that students who graduate with a degree in health management pursue below. Roles in health service management are often an easy parallel for those with a related degree. Individuals in this position oversee larger departments or organizations in the field and are responsible for maintaining compliance with changing laws, regulations, and technology in the industry. Health service management has also been listed among the top five best business jobs of 2019, as reported by U.S. News & World Report. Organizations hiring for these roles require employees to have at least a bachelor’s degree, making graduates of health management degree programs ideal candidates. In addition to budgetary roles, many health management program graduates with a focus on finance will work directly with insurance companies. Individuals in this type of role are in charge of making decisions in regards to whether or not the company they represent should provide insurance and under which terms they should provide it. Similar to the work of a more general health manager role, social or community service managers work to provide support and supervise social service programs or community organizations, such as nonprofits or government agencies. These roles are expected to increase by 18 percent by 2026—faster than the average growth rate across occupations—making it an attractive choice for job seekers. 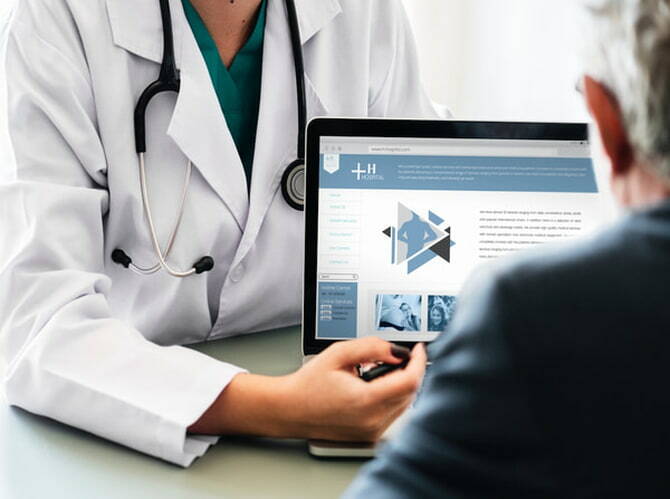 Other popular applications of a health management degree include positions in healthcare administration, healthcare human resources management, medical records and health information technicians, and more. Is A Health Management Degree Right For You? Health management degrees may appeal to individuals with vastly different backgrounds or skillsets, but Avalón believes that an ideal candidate has a few very specific qualities. “I think working in healthcare of all places takes a very special type of person,” she says. Due to the consistently changing internal needs of healthcare organizations, she feels managers working in the field need to not only have the flexibility to adapt, but the passion to stay positive and engaged even through times of transition. She also values the personal qualities of honesty, dependability, and fairness in health managers because of how often people in healthcare are working both within their own community and with patients from various backgrounds at a time when they are most vulnerable. As employees, health managers should also maintain a specific set of qualities, according to Avalón. They should be able to lead by example, create positive connections with those around them, and build bridges in order to provide support. What’s more, health managers must have the ability to work independently when needed but also easily adapt and work as part of a collective team. The changing trend in our population’s age is a strong contributing factor in the growing demand for health managers; as the population continues to live longer, processes and quality of healthcare will need to continue to be reworked and evaluated. With this in mind, it’s no surprise that the job outlook for health managers specifically is expected to increase at a rate of 20 percent through 2026. In order to break into this growing field, many organizations require employees to have obtained at least a bachelor’s degree. For this reason, individuals considering making the move into this sector of healthcare should consider a program like Northeastern’s Bachelor of Science degree in Health Management. For students who know that they would like to pursue a Master’s in Public Health, Avalón recommends enrolling in Northeastern’s dual degree program, PlusOne Bachelor of Science in Health Management and Master’s in Public Health. Students in this program are able to complete their MPH in less time and at a reduced cost. Despite the draw of a master’s degree, students who do decide to continue their education with an MBA or MPH often do not do so directly after graduating. “As you move up in the tiers [within an organization], more education is often needed, so [choosing to pursue an advanced degree] often depends where an employee starts and where they want to finish,” Avalón says. Avalón also explains that many students wait to return to school in order to utilize the generous tuition reimbursement benefits offered by many healthcare employers. “That can be a huge incentive for individuals who have gotten their foot in the door with a healthcare organization…[and] are ready for the next challenge,” she says. Looking to learn more about Northeastern’s health management program? Fill out this form to connect with our admissions team for answers to your questions. Ashley DiFranza is a content marketing producer for Northeastern University’s Lifelong Learning Network.